We are so happy spring has arrived and excited for what 2019 has to offer. We enter April with a heart full of gratitude. Do you have a special request? Do not delay, email Tom now and get the assistance you need for your special request. 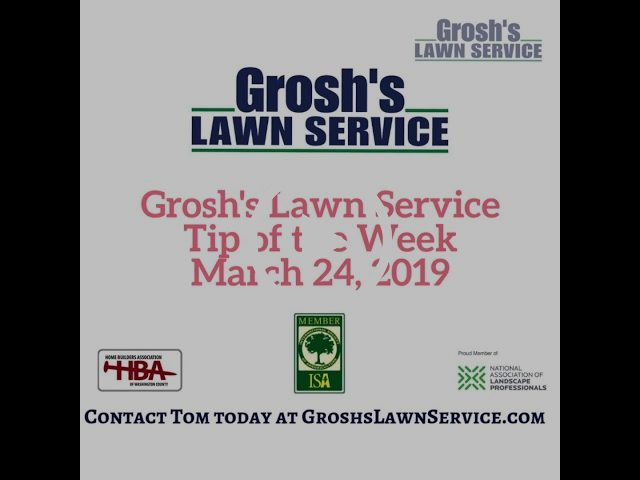 Be sure to check out the Grosh's Lawn Service Tip of the Week for landscaping, lawn care and tree and shrub tips and information. Check out this video below with our March tip. 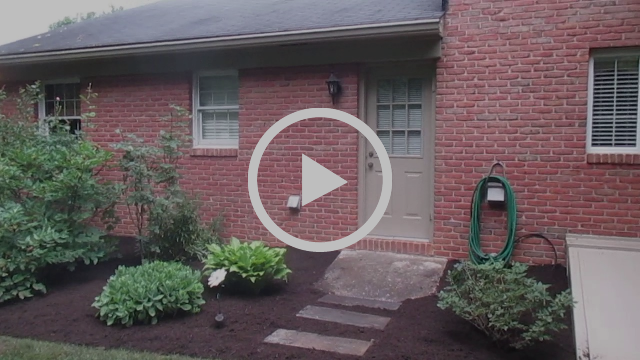 Take a few minutes to sit back and enjoy this YouTube Video on the wonderful sunsets and sunrises at Tom's home in Clear Spring, Maryland. Just as landscapes require freshened up in spring, so do our reviews. If you would like to give a review, please take the time to post your review online, or send directly to Tom. Thanks so much for sharing your feedback! Easter is April 21 this year so make sure you are on the schedule to have your home looking its best for the holiday. 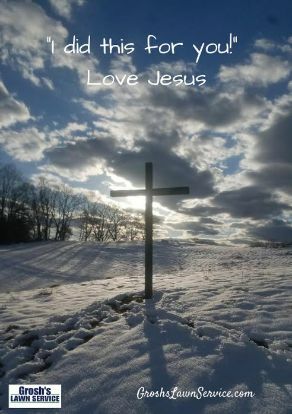 At this time of the year, we reflect on the greatest gift to mankind. Take time each day to enjoy what our Creator has blessed us with and appreciate the wonderful outdoors! We are now booking landscape enhancement projects for late May and early June. Our schedule has filled up quickly after the 2019 Home Builders and Flower and Garden Shows. Be sure to email Tom quickly to schedule your landscape enhancement consultation so you have the outdoor look you desire. Are you a regular Grosh's Grass Gazette reader? If so, you could be the next lucky winner! Congratulations to William and Susan Schnebly who are the March winners of the $25.00 Olive Garden Gift Card from Grosh’s Lawn Service. 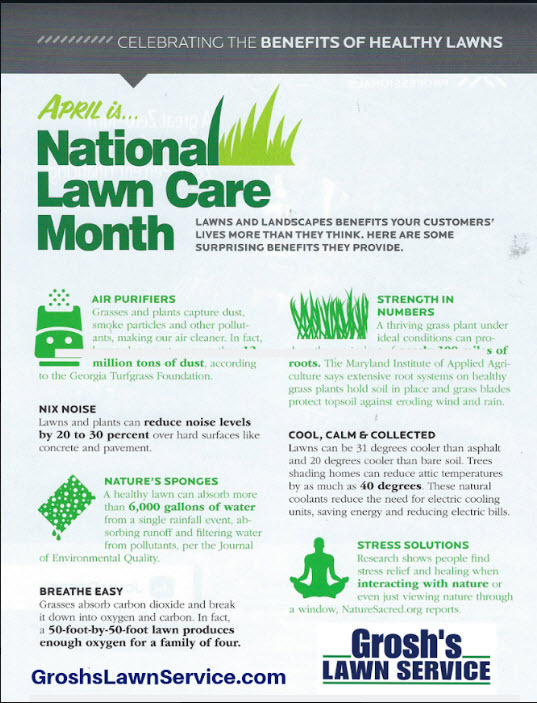 There is still time to get your first lawn care treatment applied, which will help control the crabgrass. 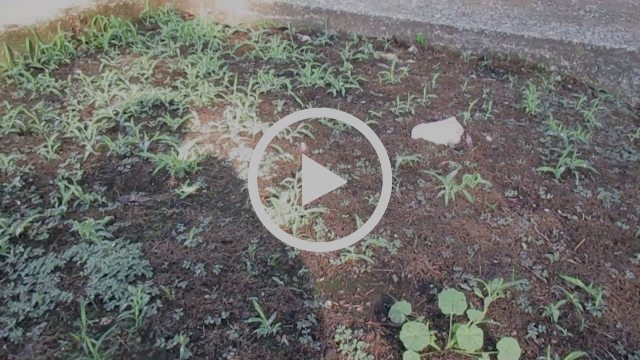 Email Tom now to get the crabgrass control spread on your lawn to be highly effective. Now that the days are getting warmer, you want to book your lawn repair. 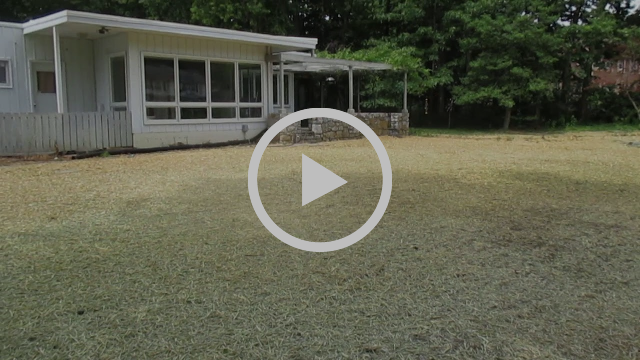 The best time to repair lawns is when the overnight temperatures stay above 50 degrees. Tom and his crew are ready to help you correct those bare spots and get fast seed germination. Email Tom now to schedule your lawn consultation. 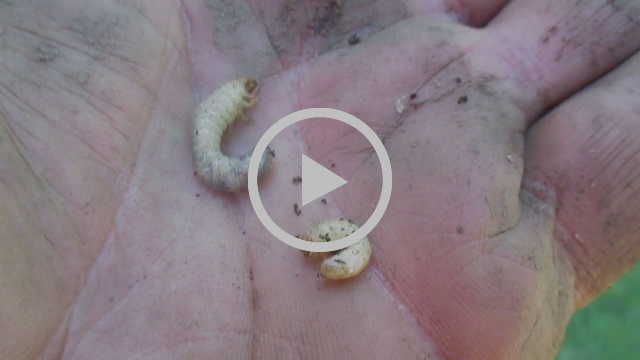 Why would you gamble on grubs when we can help stop any grub damage to your lawn in 2019? Email Tom today to schedule your grub control so you have peace of mind knowing we can help stop grubs from destroying your lush lawn. 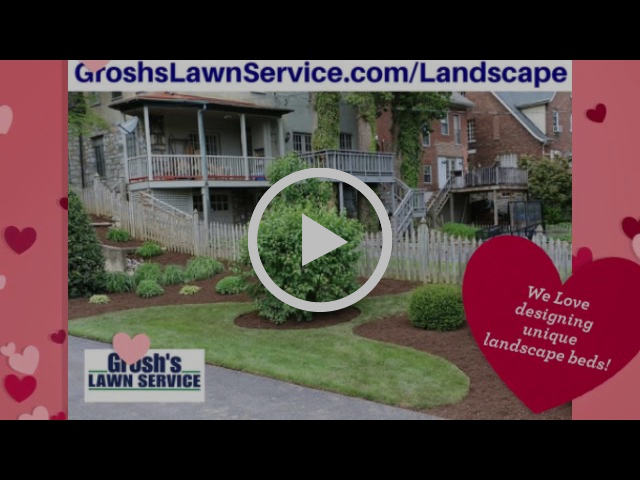 Take a few minutes and watch Grosh’s Lawn Service “Love Your Lawn, Love Your Landscape” YouTube video to inspire you, and read the below flyer (also found online here). If you would like to improve the landscape at your home, office, church or commercial properties email Tom now to schedule your landscaping enhancement consultation.